« Led Zeppelin – Mothership and Remasters: Greatest Hits Albums Of The Day! THE TREWS – One Rock album that I’ve been listening to consistently since it’s April 12th release date is Hope & Ruin from The Trews. Released on Bumstead Productions Ltd., this album is enriched with memorable melodies, standout vocal harmonies and Alternative stylings aplenty. 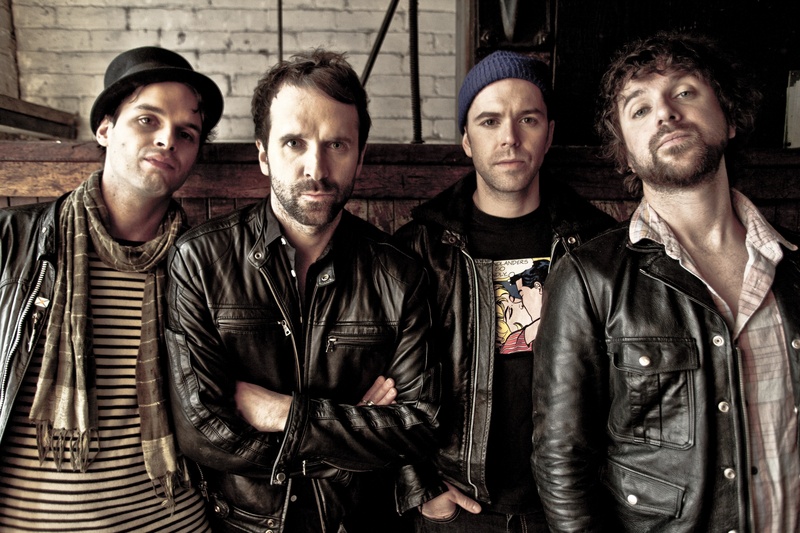 With two gold records and ten top ten singles on their Rock resume, The Trews in my Rockin’ opinion are one of the best of bands imported from The Great White North. Based in Toronto, Canada, The Trews exemplify to me, just how grand a Rock album can sound when equal importance is given to lyrics and music. Hope & Ruin makes it rather non difficult, when comparing The Trews to their Rock peers such as Counting Crows and Goo Goo Dolls. Song structures, lyrical diligence, tempos and degrees of Rock hardness all come into play when making such a comparison. The Trews just don’t bang-it-out on this album, they play the song and take you on an escalator of Rock, one that is aimed for being memorable and not run of the mill. There’s no question The Trews are accomplished artists and Hope & Ruin solidifies this, in my Rockin’ opinion. You Gotta Let Me In is the mellow song on Hope & Ruin, with an acoustic listen that also takes advantage of soothing strings to compliment the soothing vocals of Colin MacDonald. Wether you listen to You Gotta Let Me In first or last, this song is a Folk Rock welcome mat from The Trews, which ultimately suggests this band’s admirable level of music appreciation. Upon hearing the guitar intro to The World I Know, the realization that The Trews are about to Rock-it-out is ever apparent. Latter days of The Alarm and early days of R.E.M. jump out at me, while The World I Know is cranked up, reminding me that yes, there is an old school Alternative Rock heaviness swirled about in this song. Stay With Me is just an undisputed song of Rock excellence, both musically and lyrically. It’s easy for me to say this song would be a number one single on Billboard (if it were only 1985 all over again)… only real Rock music like this in 2011 takes a pounding from teen-Pop on those sacred charts. Rock fans with a pulse, know a number one single with relevance when they hear it and Stay With Me soars. The Trews compliment Stay With Me with yet another foot stomping and body jumping number called: People of the Deer. What this song substantiates, is, the true desire to move your body to Rock and Roll and let the vibes from the song take control. Misery Loves Company is a short Hard Rock number (2:57) that flirts with a Punk fever tempo and bouncy bop to its beat. No, The Trews are not so diverse on this album that they lose their identity, their sound and semi-raw delivery is all there to be heard and recognized. Love Is The Real Thing encapsulates all good things about The Trews on Hope & Ruin: up-tempo, lyrical competence and a sensibility of some lean, blue-collar Rock, while hovering in and out with an Alternative appeal. If You Wanna Start Again opens with delicate piano keys, only to become a guitar and chorus driven mover. Colin sings his Rockin’ heart out and John- Angus plays his guitar with unreal memorable licks on this song. The title track is yet another solid song on an already solid Rock album. With the tempo level being raised steadily as Hope & Ruin plays out, this song captivates with its unending Rock passion, from the vocals and backing vocals and all the way along its rhythmic beats. A fabulous title track to have, especially when it’s such an inspiring listen. 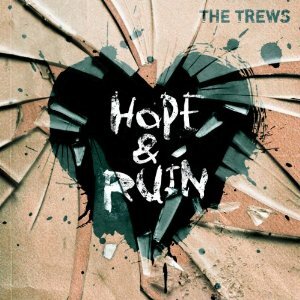 On Hope & Ruin, The Trews capture the sound, mood and vibes of Rock, Alternative Rock and Hard Rock with an efficiency that is easy to seize and enjoy. If you’re looking for an album that has been created with Rock discernment in mind, this is for you. Hope & Ruin pours with a sound of Rock that is not only real and sincere, it’s downright distinguished with its Rock stylings. Wether it’s a long drive, party time or you’re just chilling out, this is an album to turn to often for a cool dose of Rock. This entry was posted on August 5, 2011 at 2:59 pm and is filed under alternative rock, alternative rock bands, Hard Rock, hard rock albums, metal odyssey, Music, rock albums, rock music, rock music news with tags alternative rock, Hard Rock, hope & ruin album, metal odyssey, rock albums 2011, rock music, rock music news, the trews. You can follow any responses to this entry through the RSS 2.0 feed. You can leave a response, or trackback from your own site.